Whenever the best is not good enough! B11-6049982, IRON SYLVESTER, fabulous son of the no.1 producer of the Geerinckx family, famous B02-6354241, WITTEKOP SYLVESTER, sire of the loft L.B.J. Geerinckx son of B95-6279487 ZWARTE SLAETS, grandson Panter and B94-6366938, Wittekop Pootje, daughter Grote Witte, 4x 1st from the supers of Jos Soontjes. 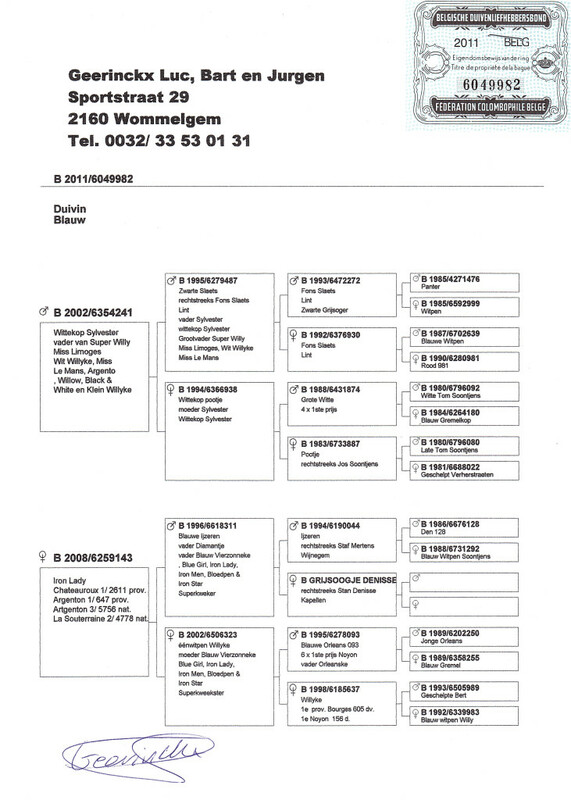 His dam B08-6259143, IRON LADY, 1st Chateauroux 2.611 birds, 1st Argenton 647 birds, 3rd National Argenton 5.756 birds, 2nd National La Souteraine 4.778 birds, fantastic producer and daughter of B96-6618311, BLAUWE IJZEREN and B02-6506323, EENWITPEN WILLYKE, foundation hen ! 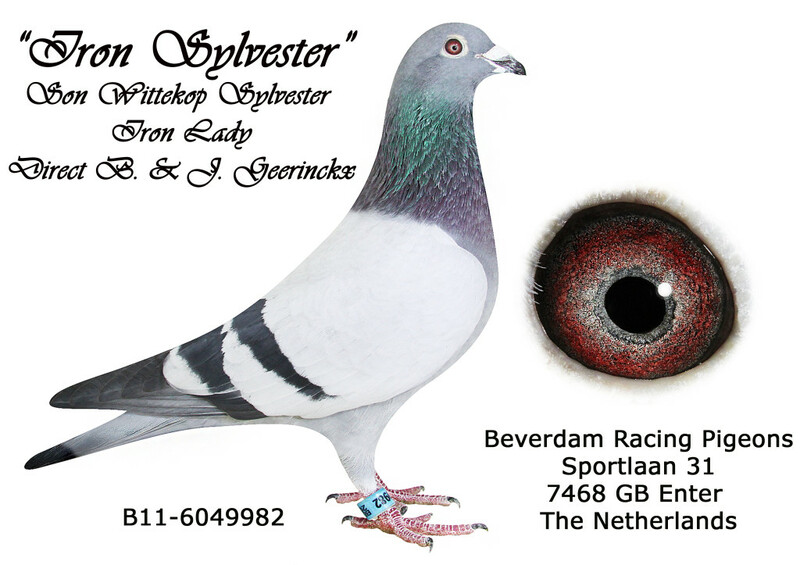 Iron Sylvester already sire of fantastic birds and the most promising Geerinckx producer in our lofts !